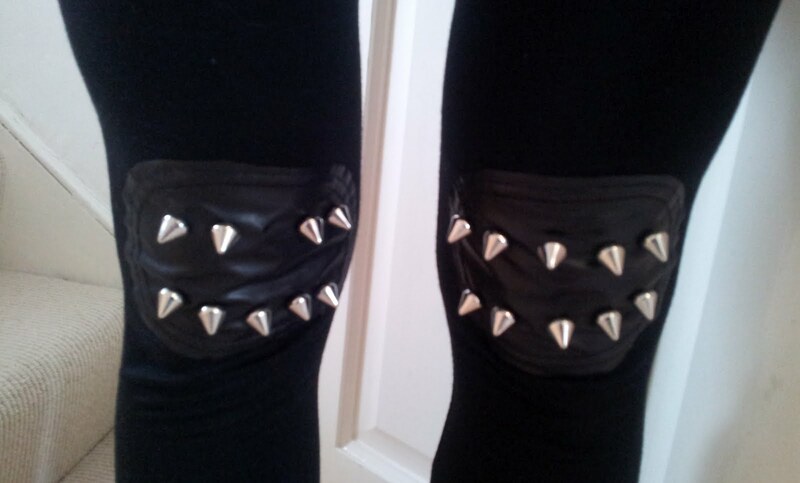 Leggings with spikes on knee: Ebay. 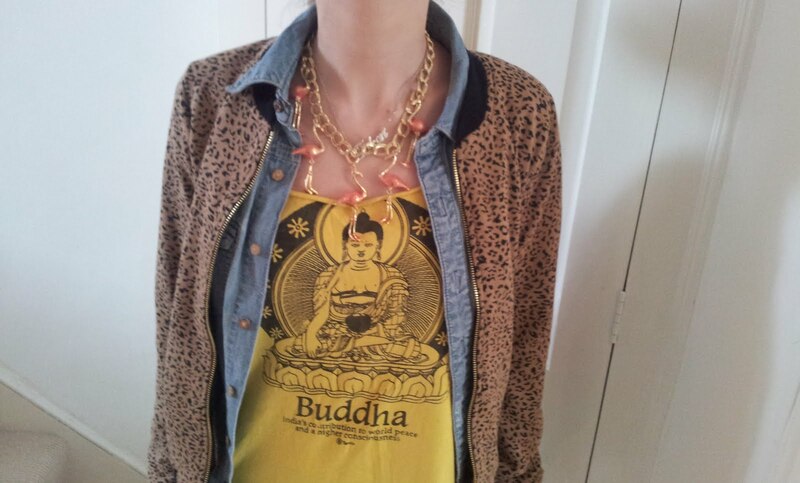 Yellow budda T shirt: Market in India. 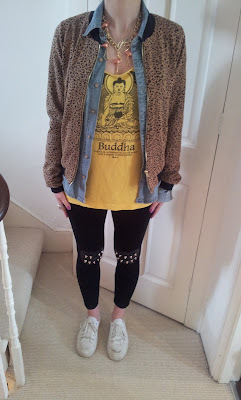 Leopard bomber jacket: Primark. Denim shirt: H&M. Flamingoes necklace: Topshop. 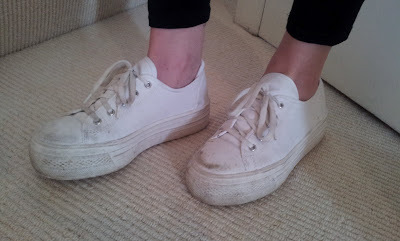 White (grubby from safari) flatforms: Schuh. Labels: Ebay, flamingo, flatforms, my wardrobe, schuh, spiked leggings, stud leggings.